Heal the Bay’s Calendar features Aquarium, Beach, Outreach, Community Science and Youth events in Los Angeles County. Want to quickly register for an event you see listed on our calendar? Hop over to Eventbrite and complete your registration. Please note, only events that require registration are listed on Eventbrite. Interested in doing a private beach cleanup? Check out our Suits on the Sand and Adopt-A-Beach experiences. Wanna roll up your sleeves and become a Heal the Bay Volunteer? We have five distinct volunteer programs that we offer. Each program has a specific training associated with it, as well as its own volunteer roles. Aquarium – Aquarium volunteers work at our Santa Monica Pier Aquarium. They support various public programs from interpreting at touch tanks to ensuring the success of private events. They also attend outreach events and represent Heal the Bay all over Los Angeles. Beach – Beach Captain volunteers support our large Nothin’ But Sand beach cleanups that occur every third Saturday of the month. They are also involved in other beach programs like Suits on the Sand, and have the opportunity to attend Coastal Cleanup Day Site Captain training. Outreach – These volunteers take Heal the Bay knowledge all over Los Angeles. Speakers Bureau volunteers present in classrooms, in business meetings, at beach cleanups, festivals and more. Community Science – MPA Watch Volunteers survey marine protected areas (MPAs) in Malibu and Palos Verdes. They monitor, collect data, and get to walk along some of California’s most stunning beaches. 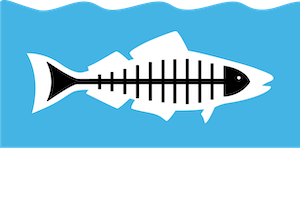 Youth – Middle and high school students register their school club with Club Heal the Bay to be part of a larger environmental advocacy community. In return, clubs receive recognition and rewards for their civic action projects. To get started as a Heal the Bay volunteer, attend a Volunteer Orientation. Looking for more information on Corporate and Foundation Giving? Amazing. We rely on support from grants, sponsorships and partnerships to pursue our mission. Learn more about ways to give. Get email you actually look forward to. Bringing the Bay to your feed. Heal the Bay is a 501(c)3 nonprofit organization. All gifts are tax deductible to the fullest extent of the law. Heal the Bay's Tax ID number is 95-4031055.